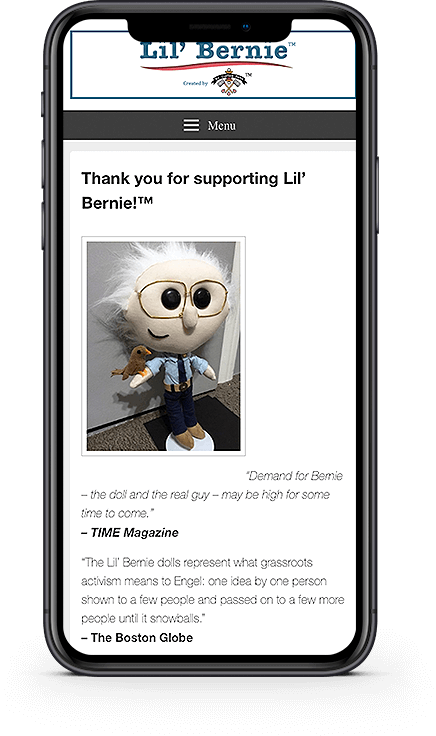 Lil Bernie is the creation of seamstress Emily Engel and is a miniature, hand made, doll of Senator Bernie Sanders. 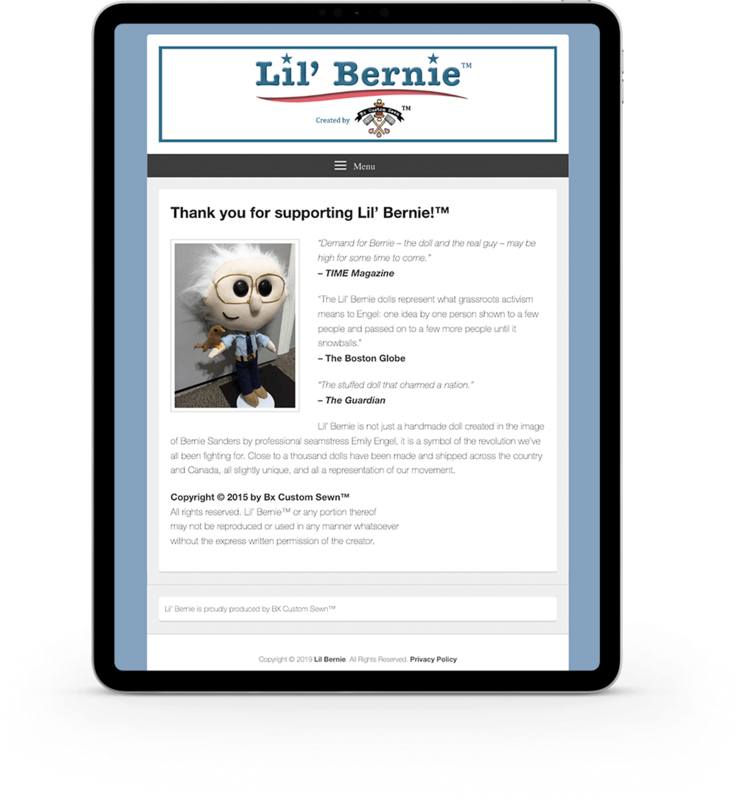 Back during the elections, before he lost the nomination, Lil Bernies were selling so fast, Emily couldn’t keep up. 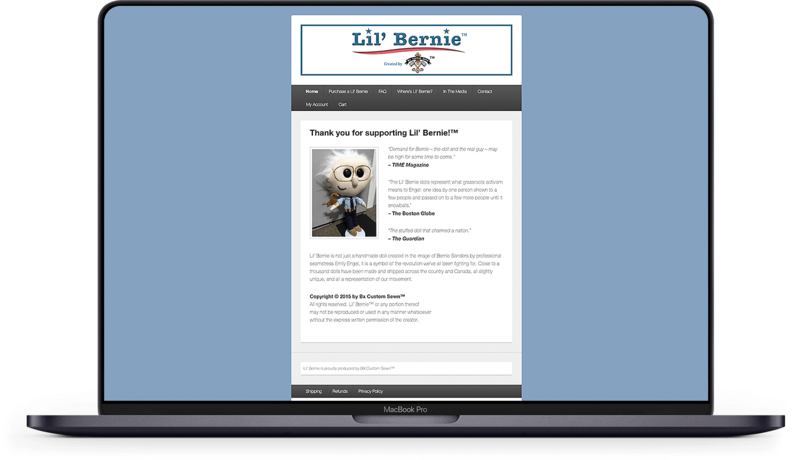 We built the website, incorporating WooCommerce for eCommerce sales and maintain the backend code, while allowing Emily to provide her own updates through WordPress, should she wish to do so. 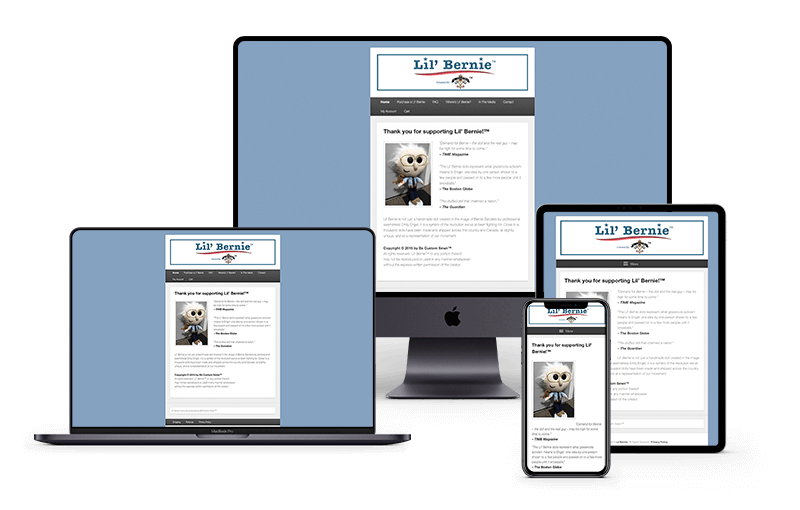 We also provide security audits, manage all WordPress updates, and provide daily and weekly backups of the site.